A moderate earthquake inly 15 km out of the coast. As Taiwan had a very good established earthquake prevention and strict earthquake-proof building rules, ER do not expect any damage or injuries from this quake. A moderate earthquake at a reasonable depth of 38 km. What makes it special is the short distance to the coastline and to the city of Ica. Ica had +260,000 inhabitants at the latest census. Earthquakes in this area are the result of the convergent boundaries in between the Nazca plate (Pacific Ocean) and the South American plate (continent). The Nazca plate is subducting the South American plate along a big distance of the South American coastline. Volcanoes and and (sometimes massive) earthquakes are a result of this process. As the earthquake occurred at 11 PM in a remote mountainous area of the country, it can easily last more than 12 hours before additional details are published. A very shallow earthquake of Magnitude 4.5 just occurred in the waters of the Eolian islands. August is the top tourist month on the Liparian islands, so a lot of people will have felt the shaking. 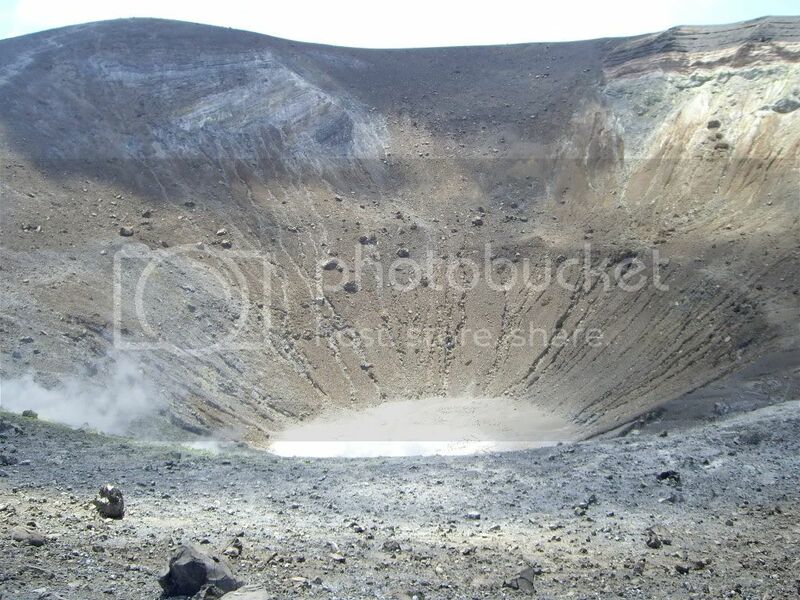 The epicenter is located on the shores of southern Vulcano island, a still active volcano. The Italian authorities are very alerted on the whereabouts of this volcano, which is seen as ‘possible to erupt’ in the (near) future. 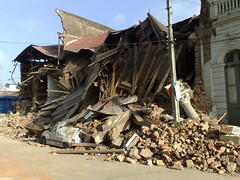 The most recent deadly earthquake occurred in Sicily January 15, 1968 killing 231 people. 70,000 people. The epicenter was located near Messina, at the eastern tip of Sicily. The Eolian islands are an island archipelago in between Sicily and Italy. The islands are or active or dormant or old volcanoes. The most famous volcano on the islands is Stromboli volcano, constantly active since long time. Update 14:51 UTC : Italian sources indicate that at least 7 people are injured in this moderate, but shallow earthquake with epicenter at the Southern tip of Isola Vulcano, an active volcano island. Authorities are checking the villages whether any damage has been occurred on houses and infrastructure. Update 15:17 UTC : A number of landslides have injured people. The earthquake has been felt also on the Sicilian coast. Renato Schifani, the Italian Senate chairman happens to be in the area (on vacation) and follows the situation personally. The Italian Civil Protection Agency is in continuous contact with the mayors of the towns closest to the epicenter (like Lipari) to find out if there is more damage or injured people. This light but shallow earthquake is breaking the vacation atmosphere on this beautiful island archipelago. Update 15:54 UTC : Stones from the landslides have been tumbling down nearby boats enjoying the beautiful blue waters, narrowingly next to the boat of the Italian Senate chairman. Most of the landslides happened in the Valle Muria area on the island of Lipari. When the shaking started, people ran in panic into the streets. For a lot of tourists, on visit in the Eolian Islands, this must have been a scary experience. 7 people so far have been confirmed receiving aid for very slight injuries. A lot of the Italian Rich and Famous own condominiums on one of the Eolian islands, especially at the islands of Panarea and Lipari. Although we can state that this earthquake is only moderate in strength, Earthquake Report declares this earthquake as very dangerous. Epicenter (if confirmed) is very near the small villages of Anjira and Nokjo at an altitude of approx. 1700 meter. The mountainous terrain however is an easy target for landslides and the poor construction of the houses in this area is well known. Additionally we don’t know whether the heavy rains from the last few weeks made the ground unstable. We would be very surprised if we will be further informed from this earthquake, as the Pakistani government has other issues to cope with at the moment (the flood disaster). Additionally the earthquake occurred at 1:18 am at night. The hypocenter (depth) of this weak earthquake was measured at a comfortable 143 km. It was well felt at the other side of the Cook Inlet, although people reported only weak to light shaking. Most of the earthquakes in this area (Lake Clark and further north) have a deep hypocenter. The Pacific plate subducts the North American plate at a speed of approx. 70 mm (25 in.) / year. Iliamna and Redoubt are two active volcanoes in Lake Clark National Park. Iliamna has not erupted in historic time, but is frequently seen steaming from its summit fumaroles. Redoubt’s most recent eruptive period occurred during the spring of 2009. 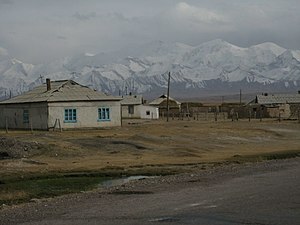 Redoubt dusted the region with volcanic ash and sent lahars (mudflows) down the Drift River. Both volcanoes are continuously monitored by the Alaska Volcano Observatory.